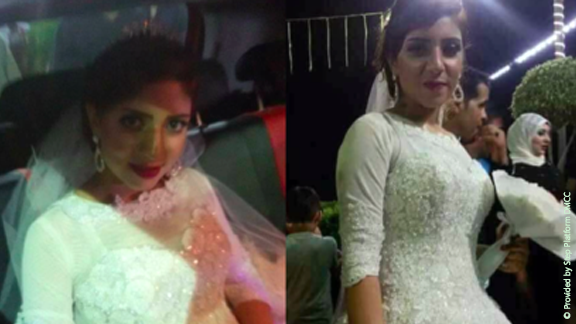 AL-MANSOURA: A 17-year-old girl died apparently of a heart attack only two hours after her wedding in Egypt’s Al Mansoura city. According to the groom, his bride Samah Al Nahas had exhausted due to a hectic wedding party, which drained all her energy. She also did not sit down and eat properly at the ceremony, he added. The young bride, who was yet to complete her high school education, complained of a sharp pain in her chest and fell to ground in her marital house, according to the local media. Police launched an investigation and ordered a forensic report to ascertain cause of her death despite an initial medical report citing cardiac arrest as the possible reason behind her death.